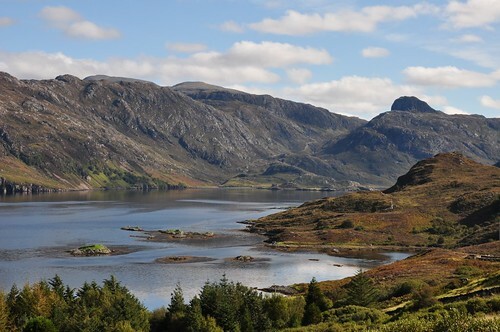 A trek through the wilds of Sutherland to reach the remote peak of Beinn Leoid (Sloping hill) followed on by a visit to the iconic Stack of Glencoul and tour of some of the areas numerous waterfalls. This entry was posted in Hillwalking, NW Highlands. Bookmark the permalink. An great report there of an excellent route. The two bothies are crackers, somewhere to return to in future. You pretty much did the same backpack that I did with Peter Edwards in November last year. I’m a big fan of Sutherland, a bit like yourself James! This was an area I’d planned exploring for quite some time and glad I did as it didn’t dissapoint. Did you do a trip report for your outing? Maybe you could point me to it if you did as I don’t recall reading it; I remember plenty of your other posts about that time! Thanks James, it is a great outing and just getting to and from the hill is a mini-adventure in itself. Hi Paul, I try to reach you this way because your e-mail (paul@sammong.com??) gave a dilivery faillure. I started a blog about the nature of the Cantabrian Mountains (northern Spain), which will have a lot of information about walking and landscape, and also about wild flowers (orchids), animals and geology which can be found in this region. I think those mountains are a lovely place for walking. I invite you to have a look, and if you think it´s worth it, I would appreciate a link from your website.